Utility Turrets mod adds 9 different turrets that will attack any enemy. So if you need a powerful protection, these turrets will protect you from aggressive monsters and save your life. 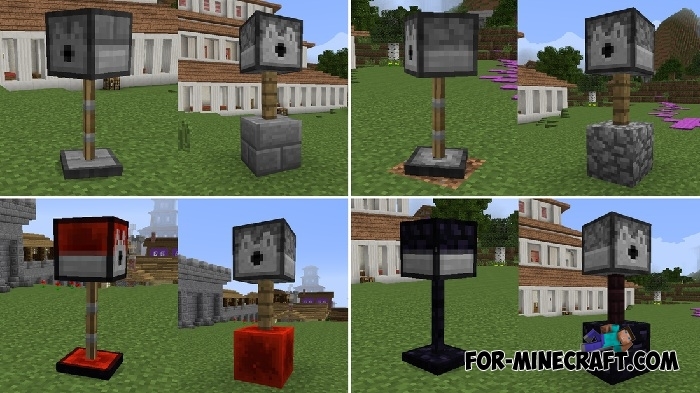 There are many types of turrets made up of different materials: Diamond, emerald, gold, lapis lazuri, nether, obsidian, iron, redstone and stone turrrets. These turrets have some damage but the same rate of fire. You need to build a special structure of certain blocks. The base is the block from which you want to build a turret. See above for available blocks. 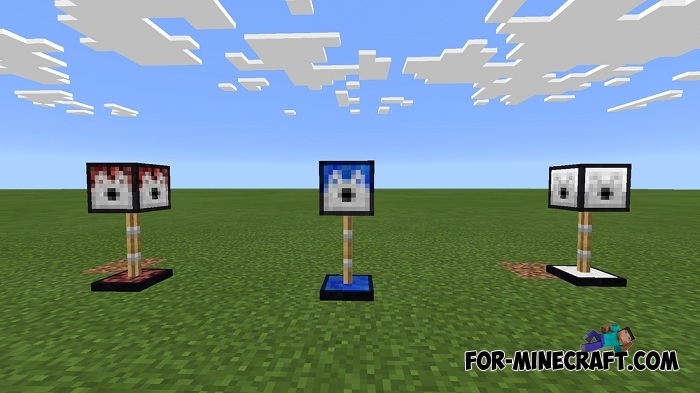 For example, to summon the diamond turret you first need to put the diamond block, put the oak fence on it and then the dispenser. Tap on the structure and only after that turret will work attack targets. How to load the turret? 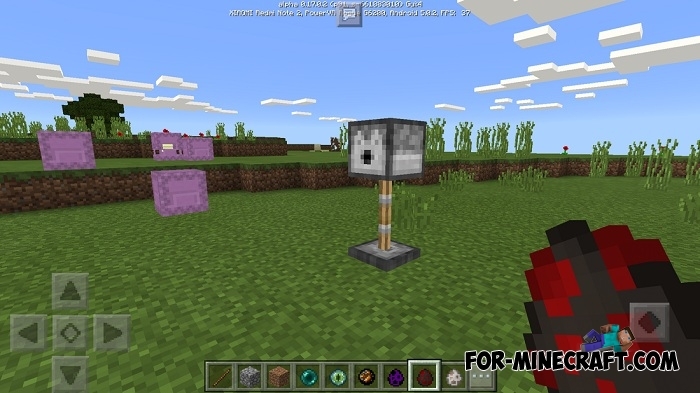 The turret fires at 360 degrees and has an endless supply of arrows in creative mode. If you play survival mode, you need to load ammo into dispenser. Only after that the turret will attack nearby enemies. The turret can use the arrows and fire balls as ammo, so use one or the other item. The simplest type of turret is a stone turret. It shoots the usual arrows and causes low damage. The most powerful turret is obsidian one. It attacks using fireballs and can kill the enemy with a few shots. 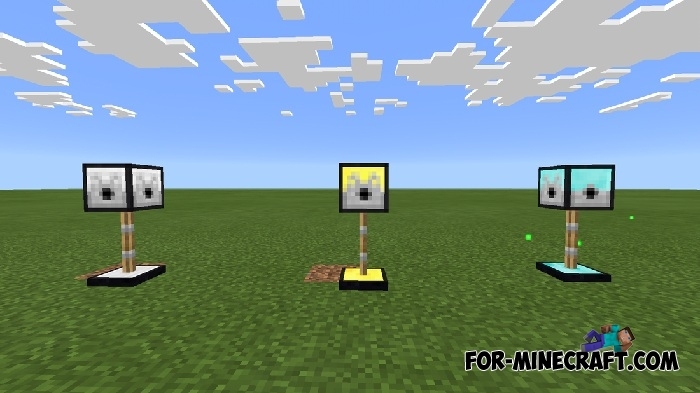 To save a lot of arrows, use Recyclable Arrows mod that allows you to pick up fallen arrows from the ground. And know that the turret can miss, so always keep the bow in ur hands. Watch the video and you will understand immediately how to build a turret. How to install the Utility Turrets mod? Download the mod and open BlockLauncher (download the latest version of BL). Click on the wrench and select the downloaded .modpkg file.